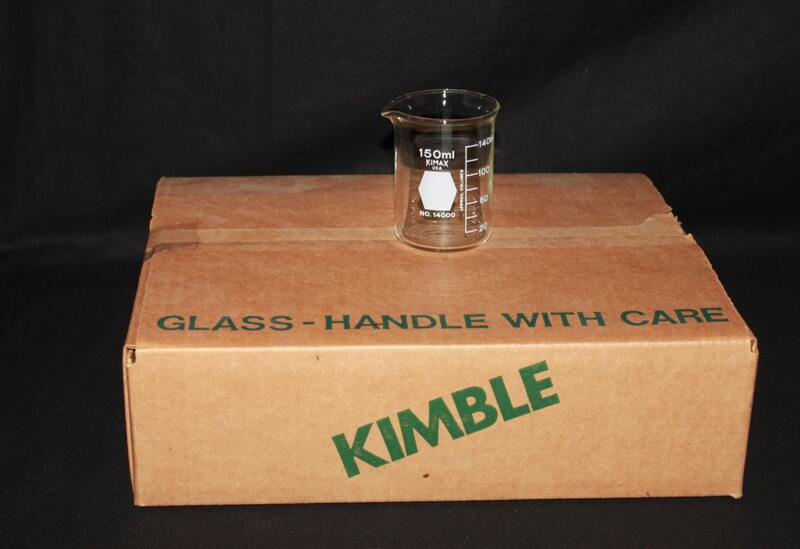 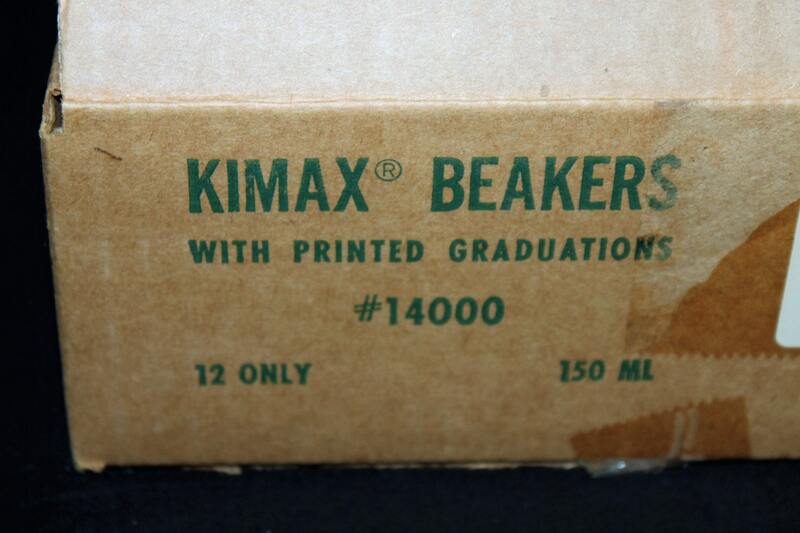 Case of Twelve, 150 ml Kimax Beakers IOB P/N 14000. 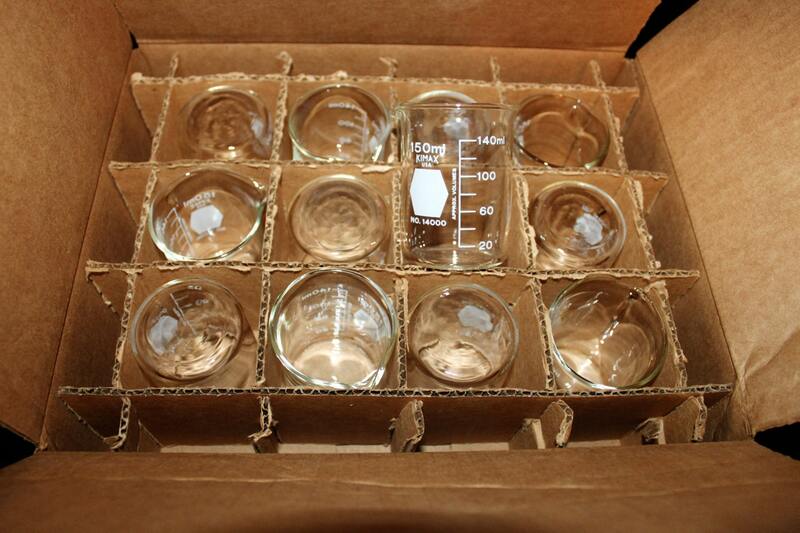 Crystal clear borosilicate glass Griffin beakers are graduated for approximate content, have a spout and are heavy duty, industrial grade glass beakers. 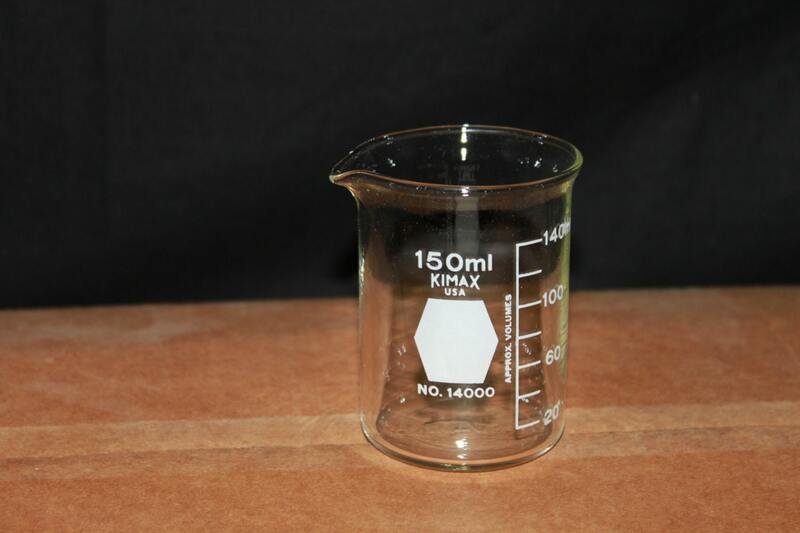 Offers optimum balance between thermal shock resistance and mechanical strength. 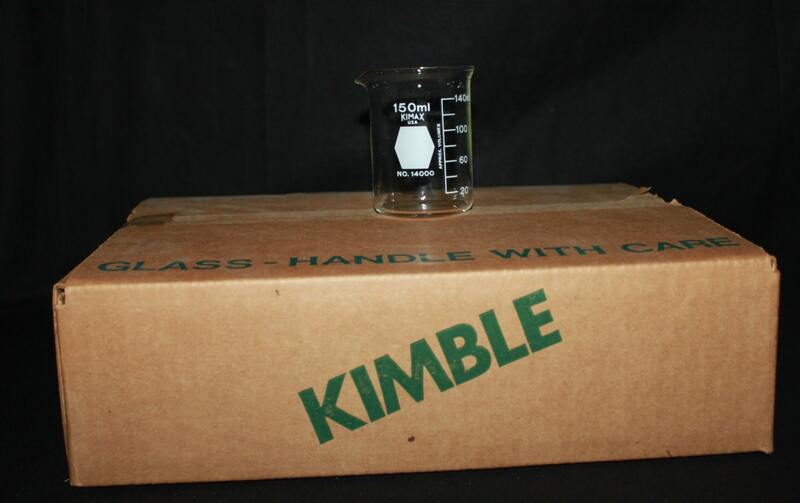 Designed to ASTM Specification E960.